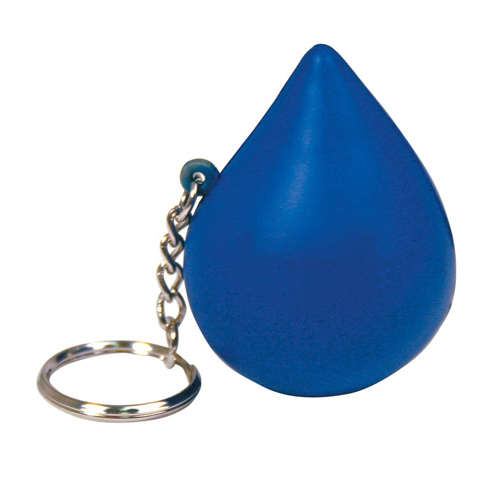 This drop shaped stress reliever with key holder will help you with your advertising. Just add your customized name or logo and you'll have the perfect promotional giveaway. Products are not intended for use by children or pets. They may present a choking hazard to children under 3 years of age. Item Size : 2" X 1.5"